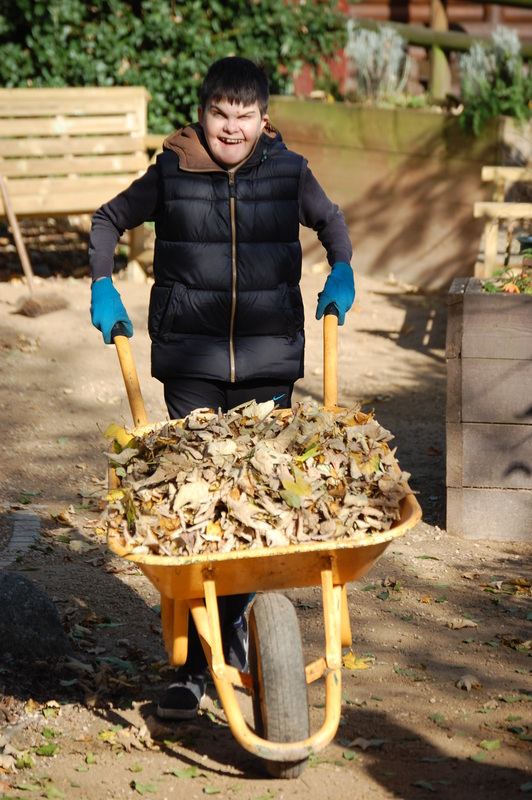 Social and therapeutic horticulture aims to improve physical, social and mental wellbeing for people with disabilities, mental health problems and those needing rehab from injury through undertaking horticultural and outdoor activities. Sessions can be held at Iver Environment Centre or in community gardens. Sessions are tailored to individual needs and promote inclusion, independence and social interaction. Activities include a range of gardening tasks, harvesting and cooking together with some garden crafts. Costs vary dependant on group size and session length and any available external programme funding. Please contact us and we will try to make sessions as cost effective as possible. We can cater for both children and adults. We specialise in learning disability and mental health programmes but can work with any disability, injury rehab and dementia patients. Yes. We have ramped access to the building. Fully disabled toilet. Raised beds of differing heights and adapted tools. What are the eligibility criteria for your service? The service is open to anybody including carers if interested. How are referrals/applications made to your service? We are happy to take direct referrals for disability clients. For mental health, we prefer to have a referral through CMHT or GP so we have a better understanding of client need. What is your service standard for responding to referrals/accessing services? We respond to all enquiries as fast as possible and under normal circumstances within 3 days. We will invite clients to come to meet us so we can discuss and assess needs to consider whether they would fit in to an existing group immediately or whether we need to create a new group with similar needs, in which case there may be a delay while we recruit other people. We only make a charge for the person receiving the service, not personal carers with them. All clients are invited to give feedback. All complaints need to be provided in writing and will go through our complaints procedure. Iver has a Learning Outside the Classroom accreditation. We have 25 years experience delivery horticultural therapy and our clients safety is paramount. All staff are DBS checked and we have first aiders on site.